Tales of Vesperia is part of the long running Tales series of role playing games. It is the 10th addition to the franchise and is only available for the Xbox 360 (in English). In the game players will have the chance to explore the planet Terca Lumireis. On this planet the people have evolved their society to rely on a powerful ancient technology known as Blastia. After a Blastia core is stolen the player finds themselves in jail and accused of being a thief. Once players manage to escape they team up with some other heroes and you begin to learn of the corruption and philosophy behind this strange technology. Fans that have been following the Tales series of video games will recognise the combat elements in Tales of Veperia with a similar system to Abyss (the previous game released on a non-handheld console). For those unfamiliar with the game this system is a free moving form of combat with players able to attack in real time. Because of its real time focus comboing attacks together and making careful use of the Over Limit mode are an important to a successful outcome. Using skills wisely and strategically is also an important aspect with these skills improving in power as the player progresses. 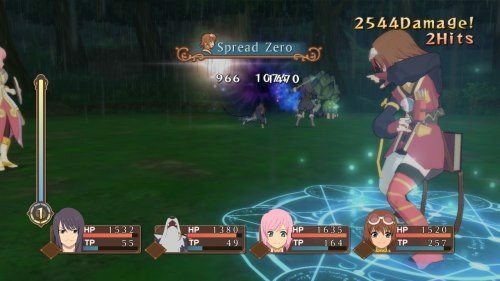 To provide a more realistic journey Tales of Vesperia features surprise encounters which rearrange your party, secret missions which are bonus challenges to complete during particular encounters (mostly bosses) and the linked encounter system which adds a strategic aspect to exploration. This encounter linking system will link two groups of enemies together if the player engages one and the other is within close proximity to the battle. Outside of the main journey players can jump into the arena and battle some bosses from previous games in the Tales series or dress up their characters with a wide selection of costumes which are unlocked for various character deeds. 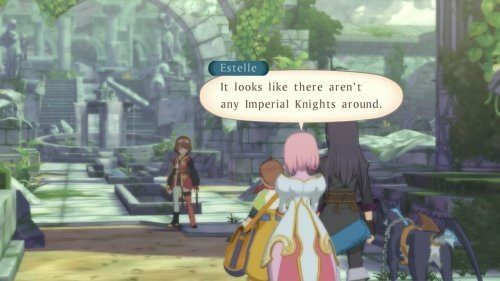 Tales of Vesperia offers everything you would expect to see in a Tales game and is definitely worthy of the Tales name. The 10th game in the Tales series. An interesting story with plot twists, hidden truths and corruption. Fast paced combat makes for a great game flow. Arena battles feature previous Tales characters. Huge number of costumes provided you can complete the tough requirements.